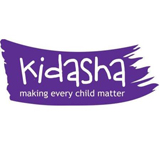 Kidasha is a UK-registered organisation with offices in London and in Pokhara, Western Nepal, dedicated to improving the lives of marginalised and vulnerable children in Nepal. We believe that widespread discrimination, based on gender, caste and other forms of exclusion, exacerbates and sustains endemic poverty and social inequity. Our vision is a world where all children have equality of opportunity. We work to ensure the protection, well being and development of the most excluded children and to reduce the impact of social injustice on families and communities. Kidasha has been providing technical and financial support to progressive developments in a range of maternal, newborn and child health projects in Nepal for over 15 years, as well as significant work relating to child protection and children ‘out of parental care’. We support interventions that empower and strengthen disadvantaged communities, increase their resilience, enable families and communities to stay well, and increase access (particularly for women and children) to health services that are more effective and respectful. We work with partners (governmental and NGO) in remote rural areas and also in more densely populated urban slums, providing communities with greater choice and control over their health and also strengthening the services available. 2) strengthening the systems and performance of health providers so that services meet demand, are accessible and acceptable, particularly for disadvantaged groups with often poor experiences of care. We have worked in numerous districts of Nepal, mainly in the Western Region, but we currently focus most of our efforts in Rupandehi and Kapilvastu Districts of the rural south, and urban poor areas of Kaski District.